How one "gorgeous" classmate left him tongue-tied. camera (Anthony Harvey/Getty Images) Tom Hanks attends an event at The Royal Opera House on Feb. 16, 2014 in London, England. 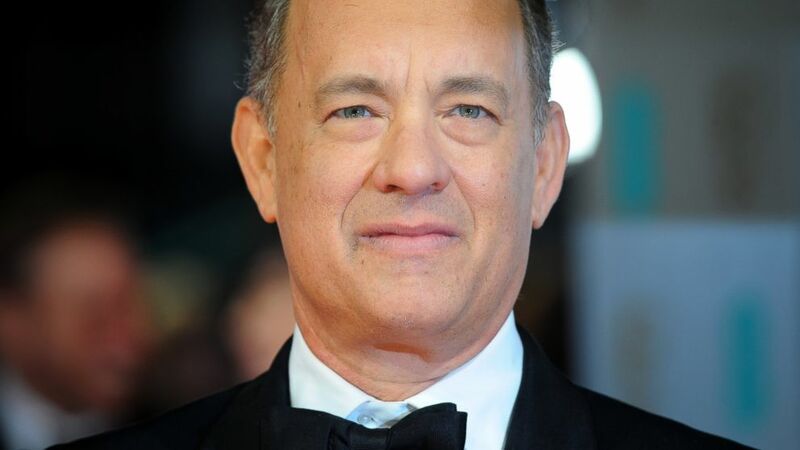 Tom Hanks is a big fan of the community college system. The Oscar winner graduated from high school in Oakland, California, in 1974 and with "lousy SAT scores" and no money for tuition, he enrolled at Chabot College nearby his home. In an op-ed in the New York Times published today, Hanks, 58, remembers those days where he went to a school that was basically "all free but for the effort and the cost of used textbooks." "Classmates included veterans back from Vietnam, women of every marital and maternal status returning to school, middle-aged men wanting to improve their employment prospects and paychecks," he wrote. Hanks recalls taking classes he loved (oral interpretation) and classes he dropped (astronomy) "because it was all math." "A public speaking class was unforgettable for a couple of reasons. First, the assignments forced us to get over our self-consciousness. Second, another student was a stewardess, as flight attendants called themselves in the ’70s. She was studying communications and was gorgeous," he added. "She lived not far from me, and when my VW threw a rod and was in the shop for a week, she offered me a lift to class. I rode shotgun that Monday-Wednesday-Friday totally tongue-tied. Communicating with her one on one was the antithesis of public speaking." Hanks continues to regale about how those classes he took have carried onto his work today. "Of course, I goofed off between classes eating French fries and looking at girls; such are the pleasures, too, of schools that cost thousands of bucks a semester," he added. Then Hanks brings up President Obama's hope to "make two years of free community college accessible for up to nine million Americans." "I hope the idea sticks," he added. "High school graduates without the finances for a higher education can postpone taking on big loans and maybe luck into the class that will redefine their life’s work. Many lives will be changed." He closes by writing, "Chabot College is still in Hayward. ... I drove past the campus a few years ago with one of my kids and summed up my two years there this way: 'That place made me what I am today.'"